Starting to get cold so i'm cleaning out my gear closet. 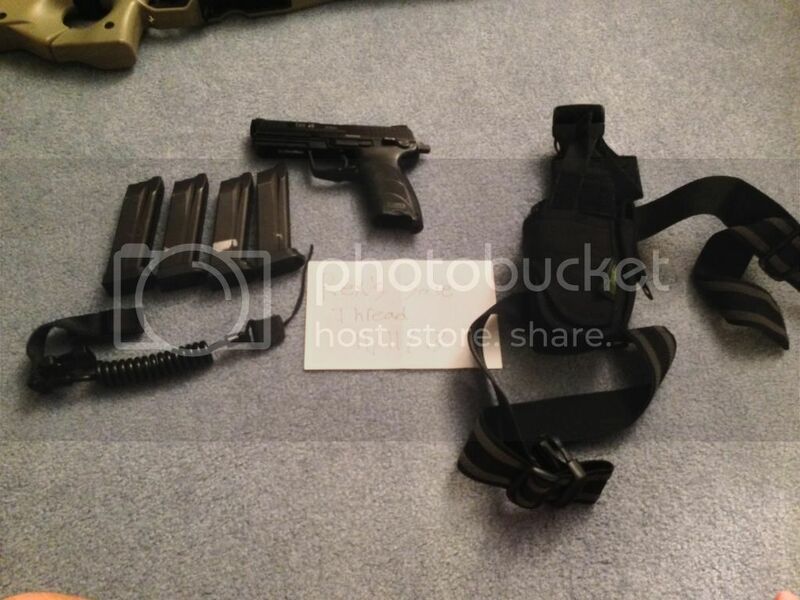 Comes with 3 gas mags, 1 hpa tapped mag, 2 molle pouches, the gun, angry gun power up silencer. This gun is a lot of fun. 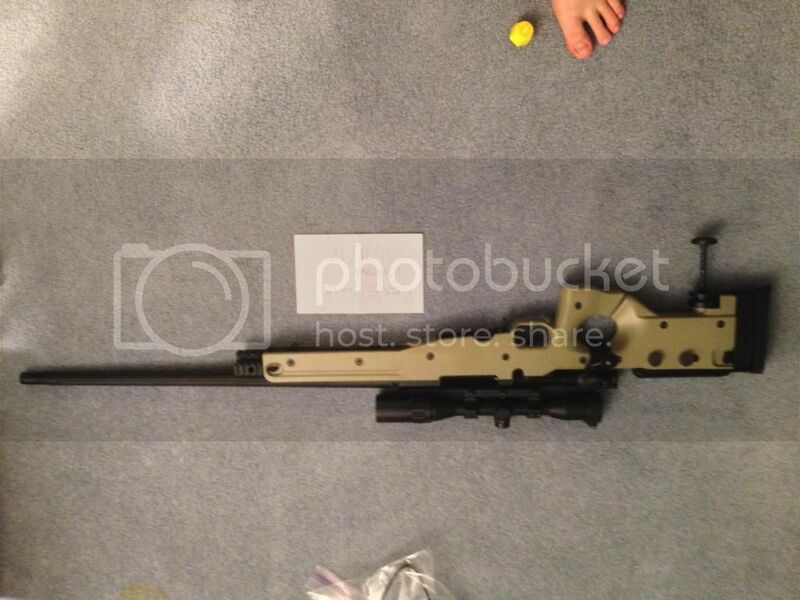 It shoots very well with the silencer since it has a 6.03mm tight bore. The silencer increases the guns stock fps from 350-390 to 450-500. The grouping change drastically with the silencer. Sightmark Night Vision Ghosthunter gen. 1 NVG. Works well comes with rail mount for scope. Sling with standard clip. No QD. M4 magazine connectors. 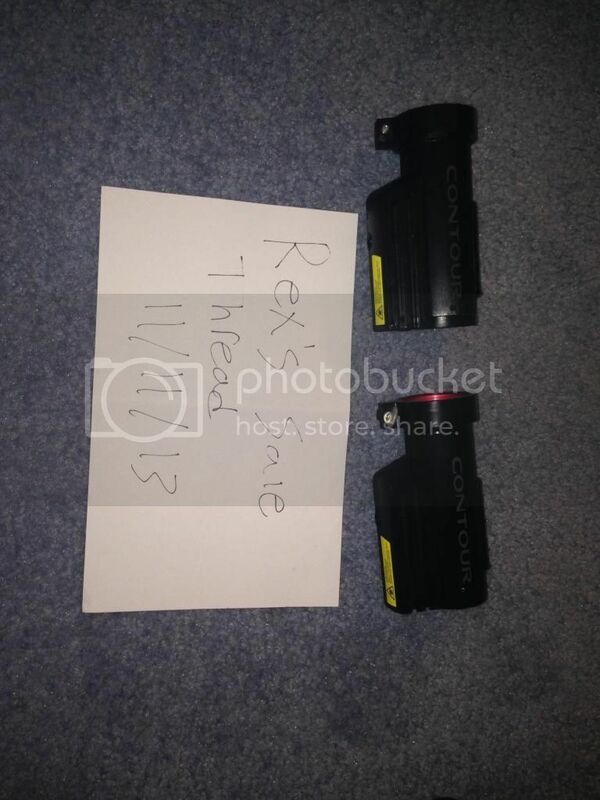 Attaches 2 mags together for fast reloads. 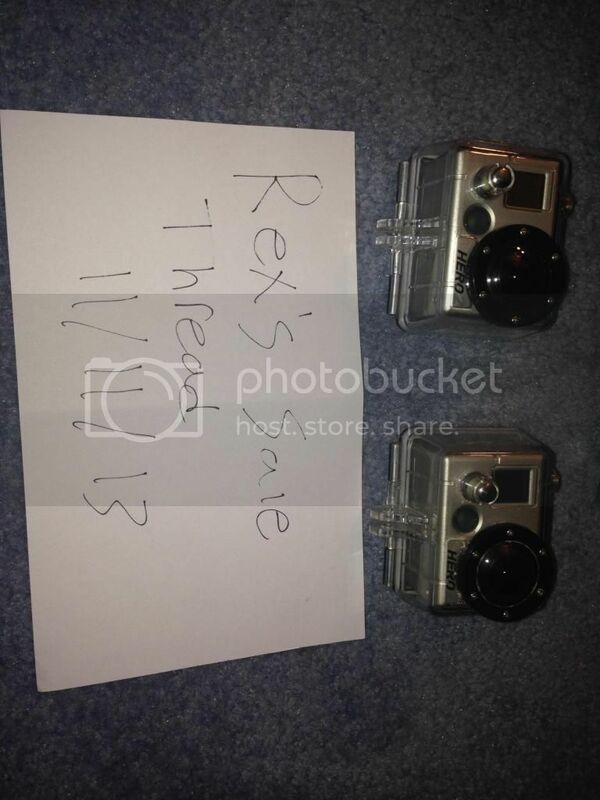 (2x) gas cans. may be leaky. Tornado grenade. Leaks a little when filling. Holds charge though. 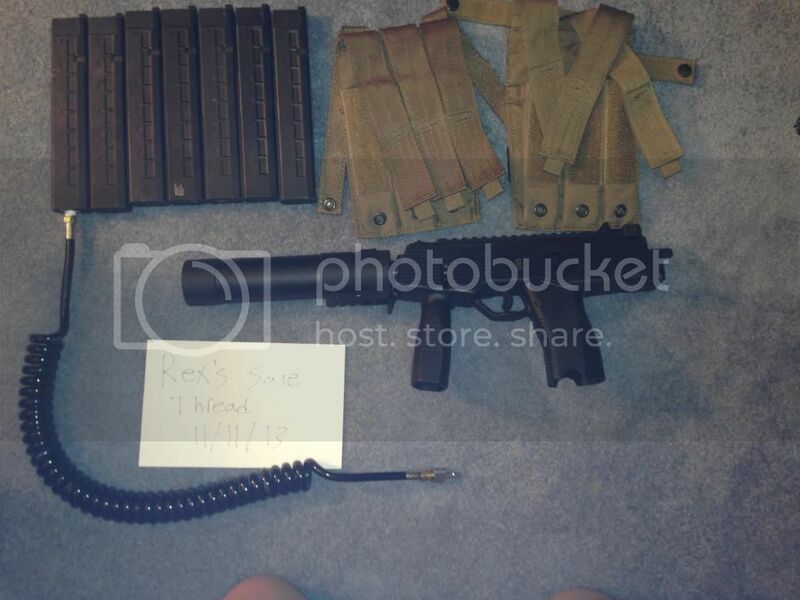 HK 45 w/ 4 mags, a pistol lanyard and a dropleg holster. Pistol is not shooting great. 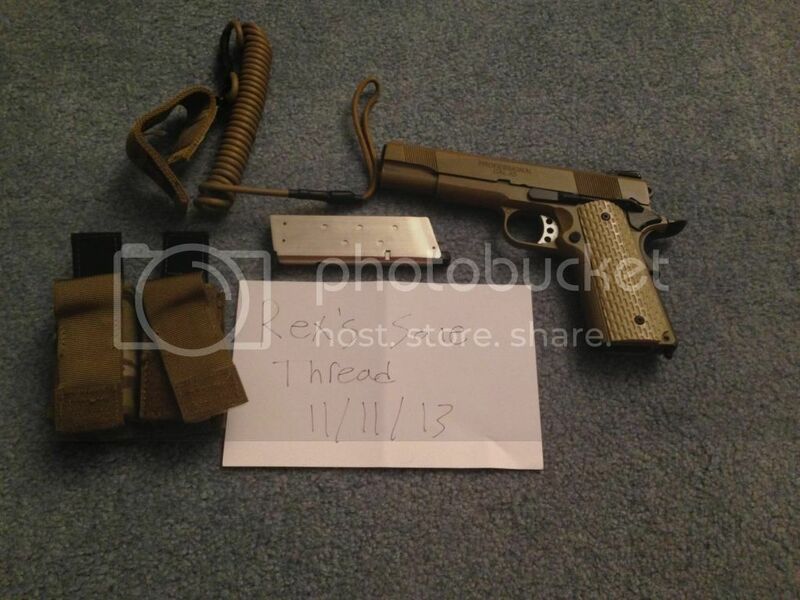 I know its something to do with the hop-up because the gun functions flawless just some bbs drop and some shoot. Mags have no leaks at all. 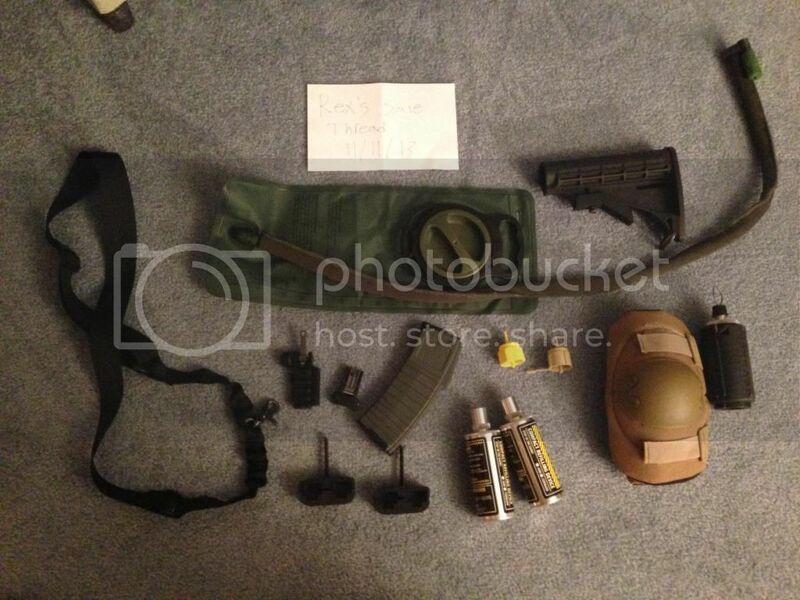 Comes with two mags and a pistol lanyard. Never fielded. Put an upgraded 6.01mm tightbore and new bucking in. Needs a new magazine. 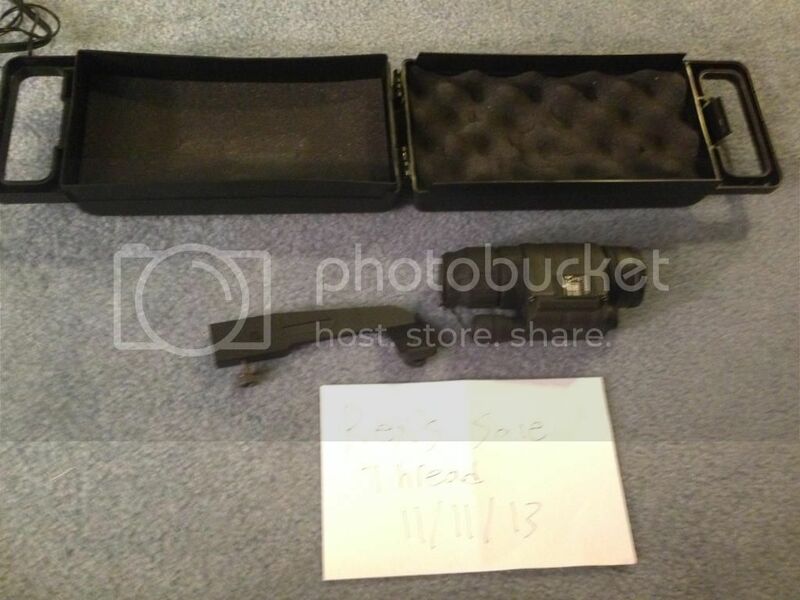 asking 125 per with waterproof housing. If you take both i'll do 200-sold. 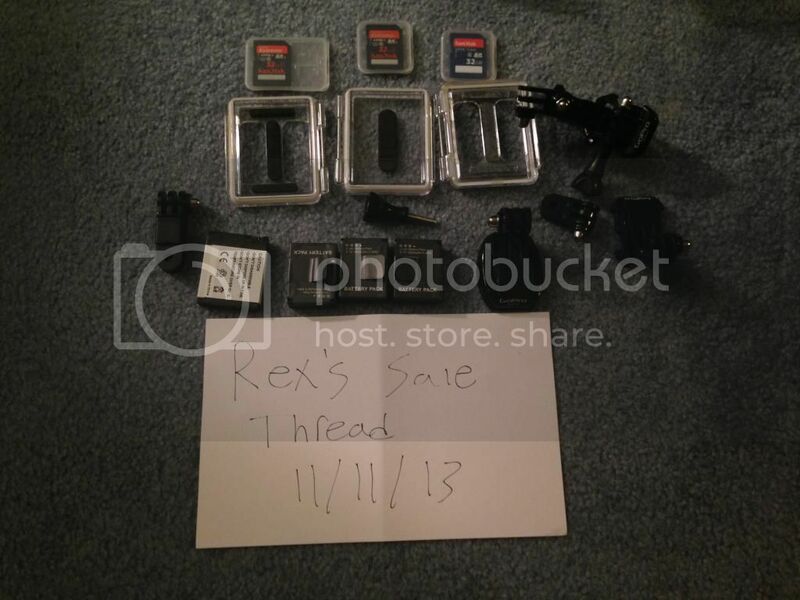 Also have some extra batteries and Class 10 32gb sd cards i can throw in if the deal is right. (2x) Contour HDs. Both come with a screw on lens protector. Asking 65 a piece or 100-sold for both. Sorry about the lighting in the pictures and the hard to read card but i assure you that all of these items are mine and are solely posted on AO. Last edited by Rex; 11-26-2013 at 08:08 PM. Reason: Updated sold items. Bump! Lots of activity! If your interested in any off these items please contact me asap as they wont last long! LOTS sold!!! price drop on a few items, PM me fast if your inerested!